Can you see yourself spending afternoons making sketches in local cafes, strolling through amazing art galleries, and finding unique items in trendy shops? If so, then Highland Park is the city you have been searching for. 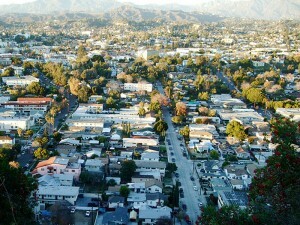 Highland Park is located in Northeast Los Angeles and shares a border with Pasadena. The value of Highland Park Real Estate is on the rise, thanks to its convenient location and increased level of safety in the past decade. The average sales price for Highland Park is $415,000 with the listing price at around $450,000. Homes can range from around $200,000 upwards to nearly $700,000. Compared to the greater Los Angeles area’s average listing price of nearly $1.3 million, Highland Park is a wonderful value in an upwards-moving neighborhood. There are eleven elementary schools, one middle school, and one high school for children to attend. 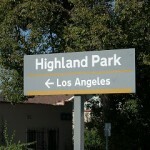 Highland Park is one of Los Angeles’s oldest neighborhoods. Originally part of the Mexican Rancho San Rafael, the area was divided in 1848 when, after the Mexican-American War, it became part of the United States. Since then, the area has become a melting pot of ethnic groups. Thanks to its beautiful neighborhoods and picture-perfect landscapes, the area has been featured in many films and television shows, including Supernatural, Reservoir Dogs, and Gangster Squad. Today, the area is ethnically diverse and extremely arty. Highland Park boasts a variety of wonderfully scrumptious restaurants. Days can be spent exploring downtown’s artsy shops or searching for old records in one of the many old vinyl shops. It is an idyllic location for young families and many of the shops cater to the young children of fashionable, hip parents. If Highland Park sounds like someplace that you could call home, don’t hesitate to contact us today! For more information, contact Real Estate Unlimited agency online or by phone, at (213) 923-8797. We look forward to helping you find your perfect home.